Nissan will officially open its new $200 million assembly plant in St. Petersburg on the 2nd June. Despite global economic woes, Russia is seeing steady growth in demand for premium class sedans and Nissan will build the popular Teana for the Russian market. The plant is expected to produce 50,000 vehicles per year and will start rolling out cars at full capacity immediately after the opening, the company said in a statement. The plant is located in Kamenka, a new industrial zone northwest of St. Petersburg, at the intersection of the city's new ring roads. Nissan started construction work on the plant on 8th June 2007, even as the domestic car market showed signs of sliding sales. The company said the quality of locally produced cars will conform to the company's international production system known as the Nissan Production Way, used on its factories all over the world. The new plant will initially employ 750 people to work a single shift producing the Teana. 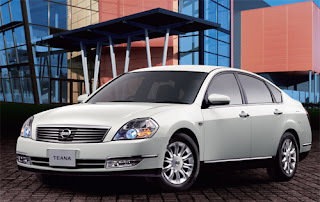 The Teana first appeared in the Russian market in July 2006 and instantly became a hit. In May 2007, it was replaced by a new model, which has an average price of $32,000. Russia's AvtoStat, an agency that monitors car sales, said the company has sold more than 8,000 Teana's since its local launch last year. Three months after the grand opening, the St. Petersburg plant is also expected to start production of the second-generation Nissan X-Trail which came to Russia in July 2007 and is one of the company's most successful and popular models. Nissan has sold 38,000 units of the X-Trail since July 2007, says AvtoStat.